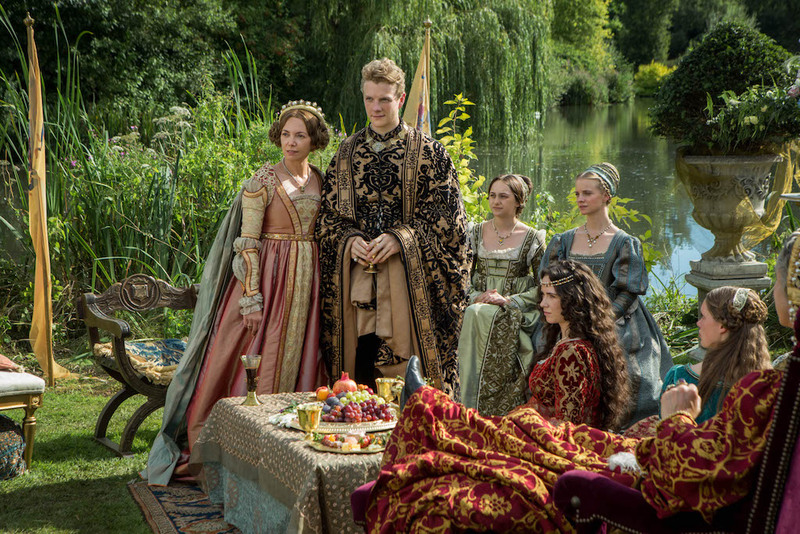 RECAP: 'The White Princess' Season One, Episode Five "Traitors"
Henry and Lizzie’s relationship is solid, but outsiders continue to pursue the throne. With the Duchess of Burgundy touting the return of a York Prince, they have no choice but to send someone to check. Here’s our recap of “Traitors”! 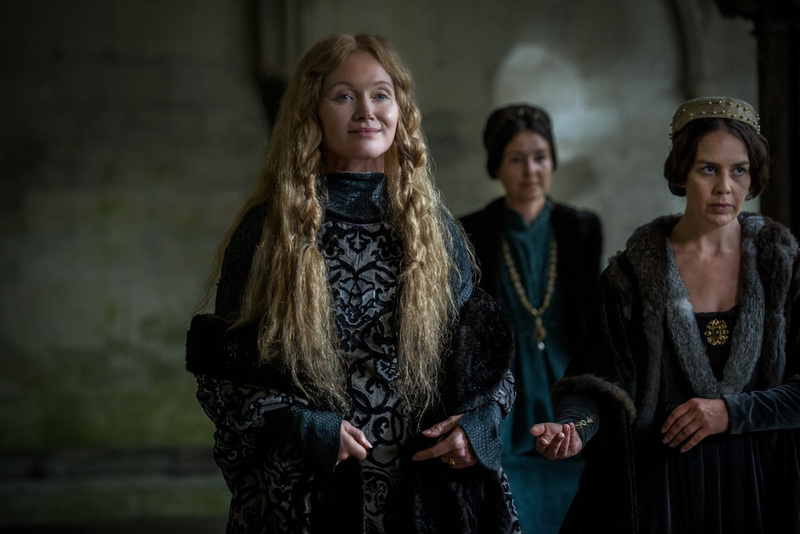 “Traitors” opens with the Duchess of Burgundy writing to Elizabeth to let her know that Richard is alive and that they’re going to take control back from the Tudors. About seven years have passed between episodes four and five, Arthur is around seven and he now has a younger brother and sister. Lizzie walks through the corridors of Westminster with her children. From a distance, Lady Margaret watches as Henry teaches his sons how to sword fight. He turns to look at Lizzie, who is holding their daughter, and walks toward her. We can’t hear what they’re saying, but they smile and he leans down to kiss her. To add to all the angst around her, Jasper approaches with his wife, Cate Woodville. He doesn’t stop to speak to her, only nods his head in acknowledgement as he passes. Lady Margaret made her bed, and now she has to lay in it. Later, Henry receives a letter from Burgundy, asking he and Lizzie to come and visit Prince Richard. Everyone on the council says that he shouldn’t go, and Henry responds as if they’re all stupid for thinking he’d go. No one on the council knows how to respond to the invitation or the unrest it’s causing. Prince Richard is causing a lot of the resurgence of York loyalty. 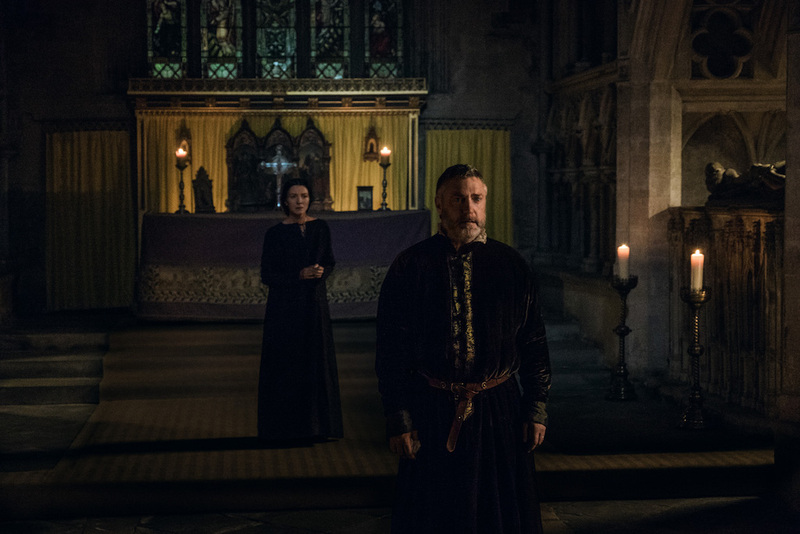 Obviously the King and Queen can’t go, so they’ll need to send someone in their place, and it will have to be someone who is trusted by the Yorks as well as the Tudors. The scene changes, and we’re in Wales with Maggie and Richard. They have a son and Maggie is chasing him around the garden when Richard walks up to them. Richard is beyond precious as he talks to his wife and son, and again, I’m at peace with the fact that Maggie married this sweet, gentle soul. She needed a win badly. Richard tells her that they’ve been sent for to come to court. She doesn’t want to go, but there’s little they can do in the way of saying no to an official summons. He gives little Henry a big hug as Maggie and Richard look on. At court, they’re told that they’ll be traveling to Burgundy to get to the bottom of this nonsense, and they’ll return with news that this is just another imposter. Maggie speaks to Lizzie in private and shares her concerns about going to Burgundy. Lizzie tells her that she and Henry’s relationship has grown so strong, and every day he puts a fresh white rose and red rose in their rooms. They have a very happy union. All that being said, Lizzie tells Maggie that Henry must never learn that Richard escaped. The boy that the Duchess of Burgundy is nothing more than an imposter. Lord Stanley’s brother is rude to Lady Margaret, and over dinner, she tries to tell him that he needs to do something about it, and he tells her that she needs to let it drop. He doesn’t seem at all impressed with Lady Margaret’s overbearing attitude and gets quite sassy with her. Lady Margaret isn’t pleased with him at all. Over at Bermondsey Abbey, Lizzie is visiting her mother, Elizabeth. She’s ill and Lizzie feels badly that her mother is locked away from her children and grandchildren. Of course, Lizzie didn’t see her mother hide the letter that she had received from the Duchess of Burgundy. 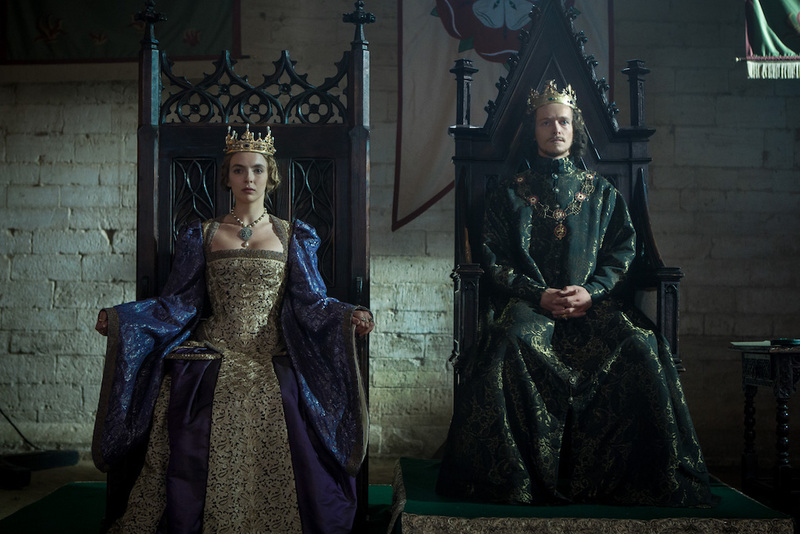 Elizabeth brings up Richard, and Lizzie tells her that Richard will remove Lizzie from the throne and her grandchildren from assuming any power. Elizabeth is very frail, and Lizzie decides that she’ll ask Henry if her mother can live with them and get better. Lizzie’s love for her mother continues to blind her to what her mother really wants and how she behaves. At court, we find out that Lords have been pledging their loyalty to Prince Richard in Burgundy, but we don’t know who they are yet. They tell him that he’s called “Henry, the Pretender” and pledge loyalty to the boy. Immediately, Lizzie says that they should name their son, Harry, Duke of York. This will solidify any claims on the title and it will go to an actual prince. To everyone’s surprise, Lady Margaret agrees with her. In Burgundy, Maggie and Richard have arrived. The Duchess of Burgundy makes snide comments about Harry’s new dukedom when the title is already taken by the actual York heir. Instead of engaging her, Maggie asks Grandmother Cecily to show her the grounds. 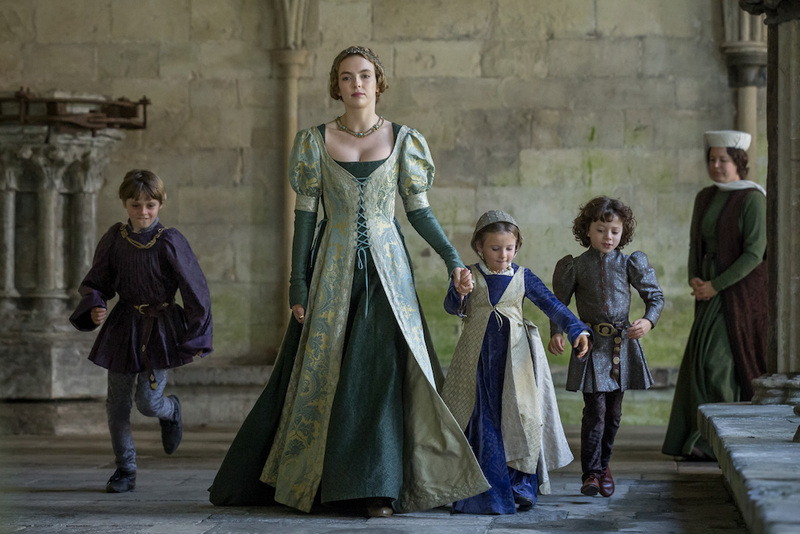 As they walk, they discuss Maggie’s family, and how the Duchess of Burgundy will put a York back on the throne if it’s the last thing she does. During this walk, we also meet Cathy Gordon, the daughter of King James of Scotland. Before Harry is named the Duke of York in a ceremony, Jasper and Lady Margaret talk about Henry and his sons. How Jasper has always been their for Henry and now his children. They discuss Jasper’s happiness with his new wife to which he says he is content. It honestly seems like Lady Margaret is trying to be happy or appear to be when it comes to Jasper, but for me, everything she does has an underlying motive, so I don’t trust it. Back in Burgundy, Maggie and Richard feel out of place, but are introduced to Richard and speak to him. Maggie attempts to quiz him about their childhood and catches him in a lie, telling him that they were never around each other as children. That’s when Richard breaks out the big guns and tells her a story of the Christmas after her mother passed away. It’s a story that only someone there could have known, and she’s shaken. Could this person be the real Richard? While she’s still processing all this, the Duchess of Burgundy announces the betrothal of Richard and Cathy Gordon. After Harry’s ceremony, Elizabeth shows up and ruins everything. From the balcony, she proposes a toast to the Duke of York, Prince Richard, the rightful King of England. Henry’s about to lose it, but Lizzie beats him to it. As Elizabeth is led away, Lady Margaret approaches her in the corridor. Lady Margaret tells her that she’s sick because she’s a liar. To which Elizabeth responds by asking her how she’ll explain the blood on her hands when she stands before God. She walks away from her after that and we’re left with a weighted silence. That evening, Lizzie tucks her sons in bed and turns to see Henry there. Outside their sons room, she tells Henry that England loves him. He asks if she loves him, and she doesn’t say anything. After a long pause, he tells her that he’ll be sleeping alone that night. In a different area of the castle, Lady Margaret is washing her hands and the water turns to blood. She freaks out and runs to the church to pray. Jasper follows her after he sees her running down the halls. When they’re in the chapel, she tells Jasper a secret she’s never told anyone. One York Prince got away. Jasper is shaken by this knowledge. Lady Margaret tries to justify her actions, but she gets into an argument with Jasper. Lady Margaret asks if he’s going to tell Henry, and he tells her that he’ll have to think on it and that she only thinks of herself. She tells him that this news would ruin Henry. You can watch this incredible scene here! We return to Burgundy to find Duchess Cecily and the Duchess of Burgundy speaking. Cecily tells her that Richard isn’t the answer. It will only continue a conflict that killed all of her sons. Duchess Cecily then goes to Maggie and cries. Richard and Maggie are to leave for court soon, but she leaves with the knowledge that Duchess Cecily believes that Prince Richard is her grandson and he knows what’s happening to Teddy. When they’re alone, Richard pleads with his wife to believe that this boy is an imposter and to tell Henry this when they make it back home. At the council meeting in London, they discuss the upcoming marriage of Prince Richard and the Scottish princess. Maggie and Richard Poole arrive back, and she tells everyone that she questioned him. They wait for her to continue and she tells them that she’s never seen this boy before and that he’s not the Prince. To top that all off, while Maggie was speaking to her family, her husband was going around and collecting all the seals from the letters that the Lords had sent, pledging their loyalty to Richard. Henry goes through the bag and starts taking out seals and charting off traitors to him. One of which is Elizabeth and another is William Stanley, Lady Margaret’s brother-in-law. Elizabeth and Lady Margaret ask what he’ll do with the traitors, but we don’t receive an answer. While this is all going on, Jasper has fallen ill. He’s abed and decides to call on Henry. Lady Margaret intercepts this message and goes to Jasper first. While he’s lying weak and sick, Margaret takes a pillow and smothers him. She asks for God’s help as she kills him and once he stops fighting her, she looks down at her hands. Elizabeth’s words come back to haunt her. She truly has blood on them now. She runs to the chapel. Everyone is alerted to Jasper’s death. Henry and Lizzie go to his room, and Henry is destroyed by his uncle’s death. Lady Margaret cries in the chapel and the candle she lit burns out. What does this mean for everyone moving forward? Will Lady Margaret ever be found out? Will her crimes be revealed to Henry that Jasper was trying to tell him? What about Prince Richard over in Burgundy. You know the Duchess isn’t going to give up easily. This could easily spell war for the Tudors. Here’s the preview for next week’s episode, “English Blood on English Soil”. 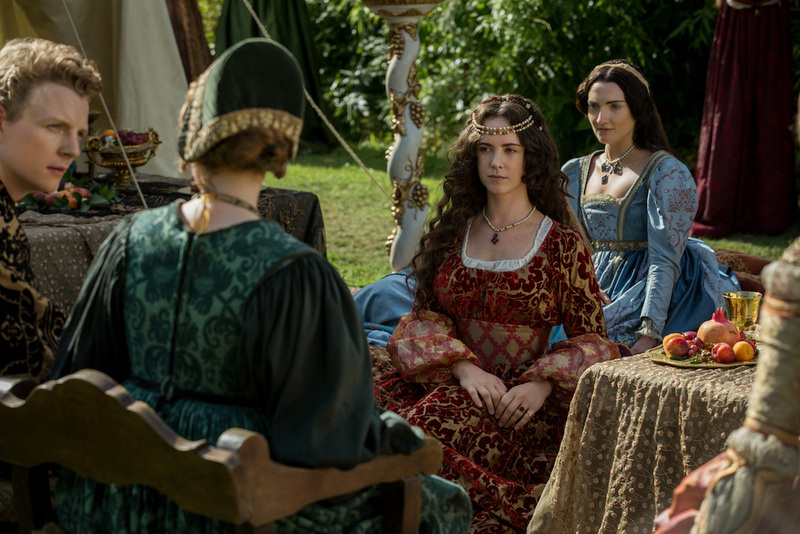 Let us know what you think will happen on The White Princess! 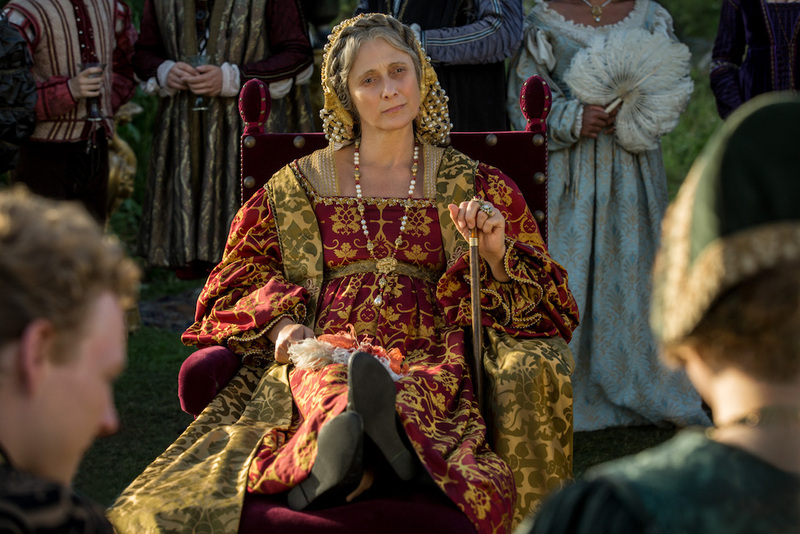 King Henry VII and Lizzie travel to Spain in an attempt to secure their son’s betrothal, but news of their country’s instability has preceded them. Meanwhile, unrest has been growing in Burgundy and spills over into an English battle.